The Commonwealth of Dominica is also known as the Nature Island of the Caribbean because of its lush green forests and various species of plants, wildlife and its abundance of rivers. Dominica is located between the Atlantic Ocean and the Caribbean Sea. With a population of 70,000, its total area is 754 square kilometers (290 square miles), making it the largest of the English-speaking Windward Islands, and it is slightly more than 4 times the size of Washington, D.C. Located in the Southern Caribbean, the Commonwealth of Dominica is bounded to the North by Guadeloupe and to the South by Martinique. Dominica is located in the southern Caribbean, sandwiched between the French department islands of Guadeloupe and Martinique. Dominica is widely acknowledged to be one of the most pristine countries in the Caribbean with approximately 61 % of its land mass being forested. There is an increasing population of North Americans and Europeans investing in Dominica due to its comfortable climate, laidback lifestyle, low crime rate and stable political system. 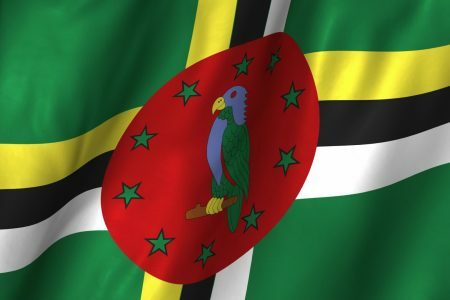 Dominica is the fourth largest English speaking Caribbean territory. Dominica experiences two (2) seasons: the rainy season, which runs from June to November, and the dry season which runs from December to May. Natural hazards in Dominica include: occasional earth tremors, tropical storms and hurricanes along the Atlantic coast. The Government of Dominica is a democratic republic. The capital city is Roseau, and most of the nation’s commerce takes place in the Roseau city limits. Dominica’s economy is stable. It depends on tourism, agriculture, and construction. Foreign investors remain attracted by the country’s political stability and high education levels, and tourism continues to bring in foreign exchange. Caribbean Single Market and Economy (CSME) implementation will result in economic reforms and an improved investment climate. If you are looking to progress into home ownership, or retire/migrate to live, in the Commonwealth of Dominica the Millenia Realty team can help you.